Phil Ivey's Bracelet Bets? What is the Deal With These? 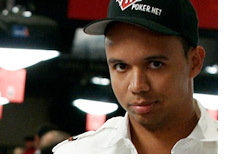 What’s The Deal With Phil Ivey’s Bracelet Bets? Q: Phil Ivey's Bracelet Bets? What is the Deal With These? Many people thought that he was joking (I mean, first place was about $330k), but in reality, he was probably being serious. The reason? The $330k paled in comparison to the amount of money that he had just won in side bets. Before the World Series of Poker gets under way every year, many of poker’s top names set up prop bets with each other. For instance, Daniel Negreanu and Phil Ivey may enter into a bet where each bracelet is worth $250,000. So, if Ivey wins 2 World Series of Poker bracelets in a single year and Negreanu wins 0, then Ivey will collect $500,000. Players will bet on all sorts of different things. Who will finish higher in the POY race? Who will cash the most number of times? The list goes on and on. So Ivey, who is very rich and loves to gamble, will enter into a number of massive prop bets before each World Series of Poker. This gives him the incentive to actually try in lower buy-in events (a few years ago, Ivey avoided almost every WSOP event because he stood to make more money playing in cash games). So, when Phil Ivey wins a bracelet, he also collects a very large sum of money from his side bets. According to various sources, each bracelet for Ivey is worth millions and millions of dollars in side bets, which is the main reason why he is so happy when he wins another one. Howard Lederer and Phil Ivey apparently entered into a very big bet that covers both the 2010 and 2011 World Series of Poker. Apparently if Phil Ivey can win two bracelets over the next two years (2010 and 2011), then Howard Lederer will have to pay out $5 million. If Phil Ivey can’t accomplish the feat, then he will have to pay Lederer $5 million. This is the reason why Howard Lederer tweeted “gulp” immediately after Phil Ivey won his eighth bracelet yesterday. 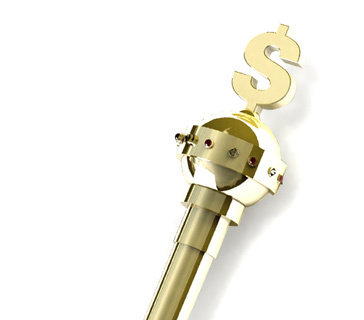 Now, if Ivey wins another bracelet either this year or next, then Ivey will collect on the $5 million bet. With Ivey winning three bracelets over the last two years, you have to wonder if anybody will be stupid enough to bet against him next year.